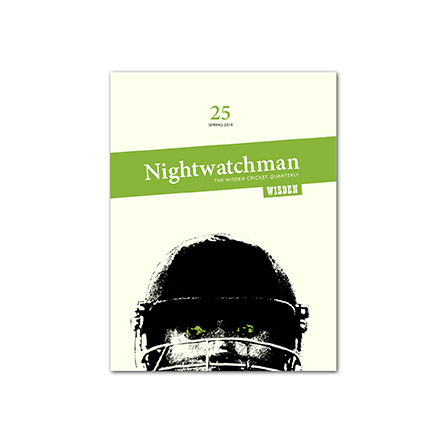 In the third (Autumn 2013) issue of The Nightwatchman, out on 10th September 2013, John Crace suddenly finds he retired a year ago, Chloe Saltau discusses the curious case of Fawad Ahmed, Aakash Chopra gives an insider’s view of the IPL, Rob Steen celebrates 50 years of Beyond a Boundary, Robert Winder leans on his bat at the non-striker’s end, and Anjali Doshi says it’s not cricket per se that India loves, but India winning at cricket. The third issue also features pieces from Patrick Collins, David Owen, Alan Tyers and Mike Jakeman amongst others. If you look to the left of your screen, you’ll see that you can download a sample edition. And you can pre-order your copy of Issue 3 here.